I love the eco-friendly offerings at Milk & Honey Naturals! I have used naturally based beauty products for years but really became passionate about the ingredients in skin care products once I had my children. My daughter has asthma and severe eczema so it is very important that I use products that do not contain harsh chemicals or artificial fragrances. Milk & Honey Naturals has a wonderful product selection including natural soaps, perfumes and solid lotions. That means that I do not have to worry because the products are detergent free, sulfate free. 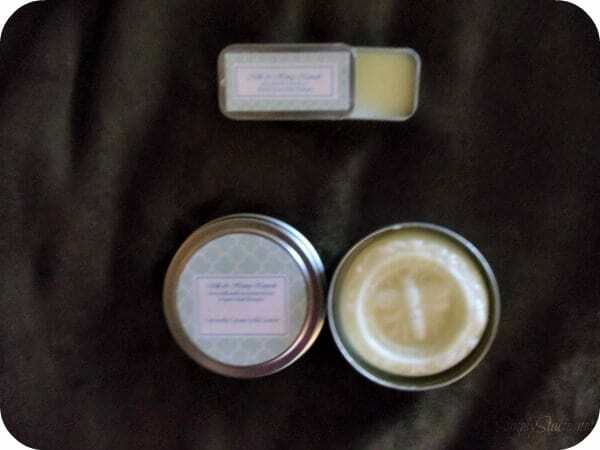 The Bamboo Lemon soap ($5.00) is creamy and has an amazingly fresh scent of lemon and bamboo. It has a rich lather that rinses cleanly and my daughter’s skin did not have any irritation at all after using this soap for one week. I used this to lather my legs prior to shaving and my normally dry skin was soft and smooth after finishing my beauty ritual. The Citronella Cream Solid Lotion is such a creative product. This is a “must-have” product in my summer bag because the solid lotion is contained in a tin so it is perfect for traveling. A tiny amount of the solid lotion liquefies and absorbs effortlessly into the skin. I live in Florida and we hike and camp quite a bit. I apply this solid lotion to the entire family and we have had fewer problems with biting insects that may be repelled by the citronella. We will be traveling to the mountains on vacation soon and I will be using this every day to repel mosquitoes and ticks. It is so much better than those chemical-laden sprays which inevitably cause my daughter to have an asthma attack. I also sampled the Lip Embellishment which is 100% natural and drenches lips in moisturizing essential oils which have the added bonus of smelling fabulous! 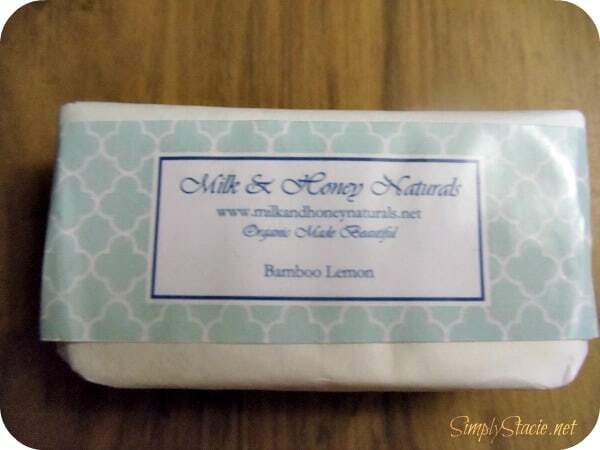 Milk & Honey Naturals is a family business and they are proud of their handmade products that are lovingly made in small batches and are as natural as possible. I am very pleased with the quality of the products that I have used myself and on my family from Milk & Honey Naturals and will definitely be a long time customer. I can’t wait to try the Solid Hair Care products next…….with prices this affordable, I can try out the entire product line at Milk & Honey Naturals! Head over to Milk & Honey Naturals now to pick out your favorites……….